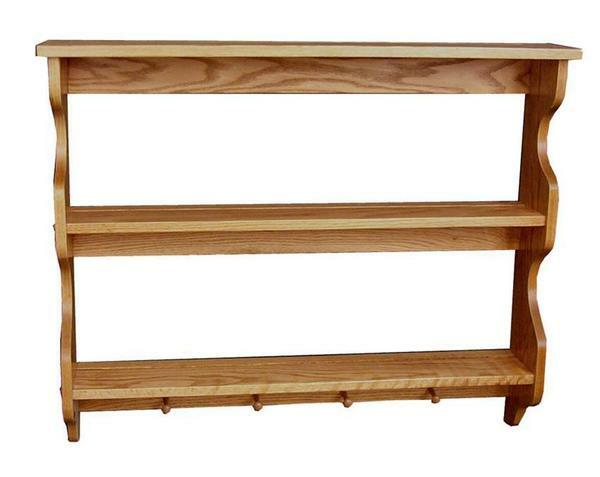 Order this three tier shelf with pegs online or over the phone with one of our sales associates. This is only available in oak wood with our medium finish unless you would like a custom finish. Call 1-866-272-6773 to speak to one of our Amish furniture specialists regarding custom furniture and finishes. 37.5" x 6.75" x 31"
38.5" x 7" x 32.5"